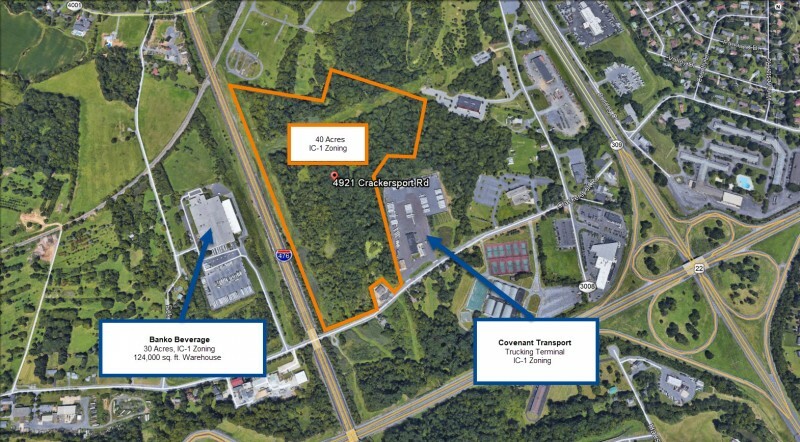 SVN | Imperial Realty presents a 39.95 Acre Land Parcel in Allentown PA! Click HERE to view property website. For more information, contact Amy Hawley at amy.hawley@svn.com or 484.245.1014. 4921 Crackersport Road is a 39.95-Acre Land Parcel in Allentown, Pennsylvania. The Property is conveniently located just north of the Lehigh Valley Thruway (59,000 VPD), between the Pennsylvania Turnpike (31,000 VPD) and Route 309 (26,000 VPD). Zoned IC-1 (Industrial/Commercial), the site contains ±10 net-usable acres with a proposed ±205,500 SF Industrial Park. The remaining 29.95-acres contain significant wetlands. Neighboring businesses include Best Line Equipment, Daniels BMW, Covenant Transport, Banko Beverage, Berks Products, PP&L, and Greentree Nursery. Conveniently located near major highway access points (Rte. 309, 22, 100, I-78, PA-476).